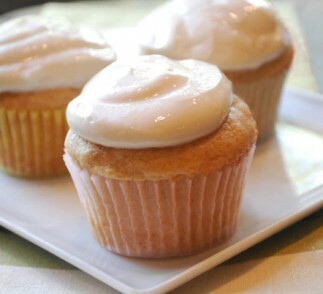 Greek yogurt frosting is a healthy alternative to frosting made with butter or cream cheese. You do need to strain the yogurt overnight to make it thicker, so plan on making the frosting a day before you’ll need to use it. Recipe makes 2 cups, enough to frost 12 cupcakes. Place a fine-mesh strainer over a small bowl. Place yogurt in the strainer. Place in fridge to drain overnight. With an electric whisk set to medium speed, whisk together the strained yogurt with the powdered sugar until the frosting thickens, 2-3 minutes. Cover and place in fridge for 1 hour, then use to frost your cupcakes.